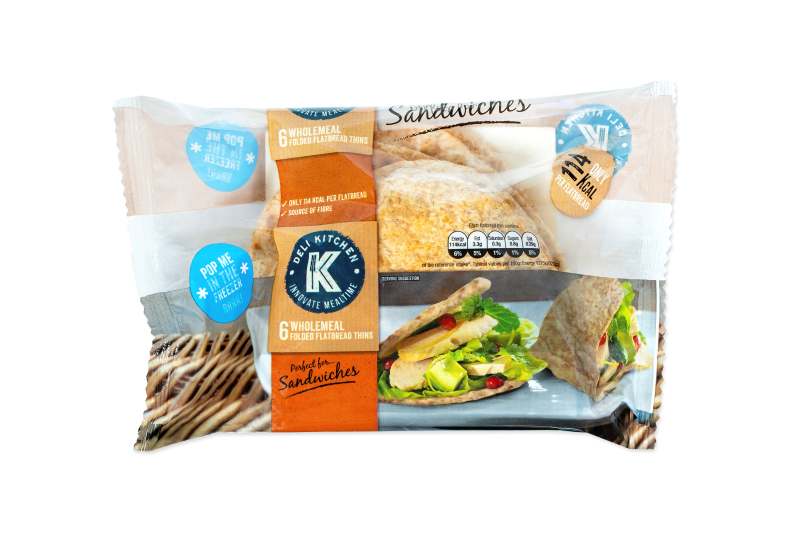 Deli Kitchen has declared war on lame lunches with the launch of Wholemeal Folded Flatbread Thins – perfect for starting the year as you mean to go on with tasty, healthy lunches. Don’t settle for limp salads and sagging sarnies this January and opt for a satisfying and delicious Wholemeal Folded Flatbread Thin from Deli Kitchen. Wholemeal Folded Flatbread Thins are a convenient and versatile option and offer a healthy alternative to sliced white. They contain just 114 calories per thin and are ideal for lunchboxes, containing high amounts of fibre to keep stomachs full until dinnertime. Produced in response to the craze for artisan loaves and alternatives to traditional sliced bread, Deli Kitchen is reinventing mealtimes with a range that doesn’t compromise on quality and is the ultimate go-to for those wanting to make easy, quick and healthy meals. The Deli Kitchen range includes Skinni Wraps, Folded Flatbreads and Folded Flatbuns, and offers people the chance to diversify their mealtimes, both satisfying and fuelling those at work and at home.